MELANNE VERVEER is a founder of Seneca Women and director of Georgetown University's Institute for Women, Peace and Security. In 2009, President Obama appointed her the first-ever United States ambassador-at- large for global women's issues. She co-founded Vital Voices and served on White House staff. KIM K. AZZARELLI is a founder of Seneca Women and cofounder and chair of Cornell Law School's Avon Global Center for Women and Justice. She is a legal, corporate and philanthropic adviser and has held senior positions at companies including Newsweek/The Daily Beast, Goldman Sachs, and Avon. MV: I believe to be a leader is to enable others to embrace a vision, initiative or assignment in a way that they feel a sense of purpose, ownership, personal engagement and common cause. I was very affected as a child by my father's positive example as a civic leader who inspired others to share his commitment to improving our community. I was also moved as a youngster by Robert Kennedy's paraphrase of George Bernard Shaw: "Some people see things as they are and ask why? I dream things that never were and say, why not?" I have always had desire to make a difference, and I've been privileged to meet so many at home and around the world who are real leaders -- agents of change -- who act on their dreams, see what could be and bring others along with them. KA: My experience in the corporate world helped shape my approach by exposing me to many different styles of leadership. I've been able to borrow from different mentors to help define my own approach to leadership. I have always admired those who have been able to use their roles to make an impact. The experience that most impacted my approach to leadership, however, was my exposure to a baby who was a victim of acid violence in Cambodia, through my volunteer work with the Virtue Foundation. That experience really changed my perspective on how I could make a more serious contribution to advancing women and girls. It was then that I first realized that I had some power and a role to play and that I could connect with others of different professions and walks of life that shared my passion to help women and girls. How is Seneca Women making a real difference advancing the lives of women and girls? 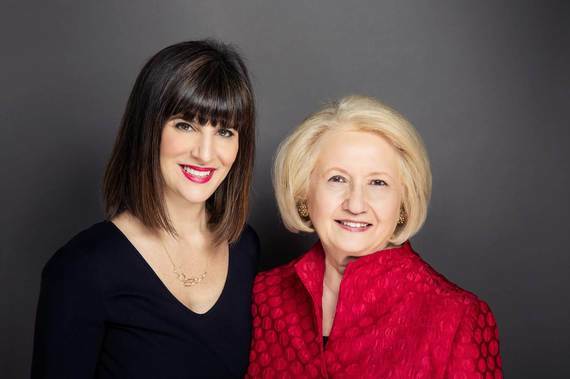 MV: Through Seneca Women, Kim and I hope to inspire women of all ages, working in all sectors and at all levels to join in efforts large and small to advance women and girls. Through community events and online engagement we hope that others will be inspired by the stories of women who are using their power and purpose and empower them with updates on new research and initiatives as well as opportunities to become engaged in organizations that are making a difference. We believe that together we can truly "fast forward" progress for women and girls. KA: Seneca Women is a leadership platform where women can connect with each other to know their own power and find their purpose. All the evidence shows that when you use your power for something larger than yourself it not only can help create change in the world but can also create meaning and fulfillment in your own life. I truly believe that when you find your "people" you can also find the energy and inspiration to keep going. We hope that Seneca Women will be that catalyst for women to connect to issues they care about as well as with each other so they can find success and meaning in their own lives while building a better world. What do you hope to achieve with Fast Forward: How Women Can Achieve Power and Purpose? MV: I hope that through Fast Forward, we can encourage women everywhere to know their power wherever they find themselves; to find their purpose; and to connect with others in order to create a better world -- especially for women and girls. The potential of half the world's population is still significantly untapped, but we believe this is our moment to make great strides. Today more women than ever before are well educated and occupying positions of power. There is a growing body of research and data that shows women's economic participation and social progress correlates dramatically with economic growth and progress for all of society. We also are living at a time of technological development that makes connectivity so much easier. KA: We really believe that our moment is now. The data is in. We know that women's participation can drive both economic growth and social progress. And world leaders from both the public and private sectors are beginning to take notice. A report released just this month by McKinsey shows that if the world achieves gender parity, we stand to gain $12-28 trillion in GDP. Advancing women and girls isn't only the right thing; in the words of the World Bank, "Gender equality is smart economics." We hope that Fast Forward encourages both women and men to arm themselves with the facts to make the case for women and girls so we can tip the scales in favor of gender equality. Equally important, this is also a moment for individual women to understand their own power, find their purpose, and to unleash that power for both themselves and for the greater good. How can women achieve power and purpose whatever their profession? MV: Women can achieve power and purpose in whatever profession they pursue, position they hold or whether they are caring for their children full time. Our book includes a toolkit that provides specific steps women can take. We also include inspiring narratives of women at the top, in middle management and at the grassroots level who are making a difference. KA: We believe that wherever we sit we each have power - that is, we each have signature strengths and resources that we can use to pursue our purpose. Some days we may not feel we have power. We all have our own personal challenges. But if we dig deep and we are objective we can find our own power. By recognizing that we have it and we have the potential to make a difference, we can each work toward our purpose - whatever it is. Some women may know exactly what that purpose is - in our case advancing women and girls. Others may still be searching. Fast Forward has a tool kit to help each woman on that journey - for women to know their power, find their purpose, and connect with others. MV: The most important lesson I've learned is how rich and rewarding life is when one can engage in meaningful work, whether on the job or outside of work. For example, I've been involved in the creation of mentoring programs that have brought together women in business and technology -- many of them high powered -- with mentees from around the world who are eager to grow their skills. Always the mentors told me they got so much more from the experience. Paying one's achievements and experiences forward is its own reward. I found the same to be true with Vital Voices, the NGO I co-founded to work with emerging women leaders. All of us who were engaged have always felt we received far more from the experience than that which we contributed. KA: Everyone has a role to play. There was a point in my legal career when I didn't see how my work was directly making a difference for women and girls. One day I was feeling uninspired and didn't really see how my corporate law career was going to have impact in the greater world. I called my professor at Cornell Law School and asked for her advice. She told me that there were many people trying to effect change from the outside, but at that time not so many advocating for women from the inside. She showed me that I could help move the world forward for women from where I sat - by my using my access and resources from within - an "inside job," so to speak. After that day I saw my role and position from a different perspective and realized I could make more of a contribution by continuing as a corporate lawyer. That's why I always say to my friends and colleagues, "don't quit your day job just yet." It may present you with the opportunity to have impact and create change that you could never have imagined. You just need to take the time to think through creatively how you can make the case for women and girls from where you sit. MV: Maintaining life work balance is never easy. When my children were young, I worked more flexible hours and had the benefits of excellent child care. Now that my children are grown, it's much easier, of course. The key for me had been an extremely supportive husband. Life is filled with trade-offs and we have to prioritize what is most important at any given time. KA: I think we've gotten stuck in an antiquated definition of success that says in order to feel accomplished you have to choose between work and life - that somehow more of one means less of the other. I don't believe in this opposition. Frankly, I don't even like the phrase as it pits work and life against each other. In order to achieve balance and fulfillment our approach to work has to incorporate purpose, care, and wellness - the needs of a whole person not just the needs of a worker. For me, integrating purpose into my work has allowed me to create more wholeness in my approach to my career and has in some ways propelled it! Integrating health and well being- for me the practice of yoga on a regular basis but also taking the time to think about personal growth and self- reflection has been essential and frankly life changing. Every day I work to maintain a life approach for myself that allows me to integrate my total self into my work. In this increasingly hectic society it's hard to make time for purpose, well being and personal development. But in my experience it's the secret sauce that makes everything else come alive. I have learned that it is possible and that all it requires is a change in perspective. In the book we lay out some of the research that shows that ultimately it is this integrated approach that will drive lasting personal and professional growth and success. MV: I believe one always learns from mentors, whether they are formal or informal advisors. One of my earliest mentors, who headed a NGO, enabled me to work a flexible schedule, had confidence in me and provided encouragement and advice. It made all the difference at a very early time in my career. Others provided more substantive guidance in issue areas which has been extremely beneficial. Still others, more experienced working moms, for example, when my children were very young provided helpful guidance on managing many responsibilities. I think one of the roles we can all play is to be helpful with and responsive to our own staffs and colleagues. KA: It's made all the difference! It's so important to find your "people" and find mentors that will push you, help you, and support you - and most importantly that share your values. MV: I most admire the women I have met around the world who are on the frontlines of change in their countries. They are ordinary people who are doing extraordinary things. They are the people who "dream things that could be." My memory is like a movie reel: the woman who has created a country-wide network to address domestic violence; the girls who courageously fight for the chance to go to school despite acids attacks and threats on their lives; the women who helped lead revolutions for opportunity, dignity and democracy -- often wounded, arrested and even assassinated as a result; the women struggling to make peace despite efforts to keep them from participating in formal peace negotiations; the women who run for political office and dare to compete despite the roadblocks erected to thwart their participation. These are women who are the vital voices of our time, and they can be found in both in villages and large urban areas everywhere in the world. KA: Melanne, of course! But also the women Supreme Court justices, whom I consider rock stars. And especially Justice Sandra Day O'Connor who encouraged and supported me in my efforts to start the Center for Women and Justice at Cornell Law School. But also other women leaders, who have exercised quiet power away from the spotlight, like Malak Jan Nemati, whose life is profiled in Fast Forward. She was a frail, blind woman living in a patriarchal society in 20th century rural Iran. Yet the strength of her character and convictions would lead her to become a revered sage and powerful leader in her region, an influential thinker who would later be recognized well beyond the fields of her rural village. I admire her for her courage, wisdom and inner strength. She was able to use the power of her perspective to win the hearts and minds of men and women in her community and thus revolutionize the role and value of women and girls. At great personal risk, she led reforms that included the equal feeding of girls and boys, access to education for girls, and equal inheritance and property rights for women. She was known to say that when you alter a person's thinking, their actions would follow. In this way she was able to change a culture from within. Ultimately, for Malak Jan, service to others in the midst of tending to one's daily affairs provided the fuel for self-knowledge and ethical progress. She has been a great source of inspiration for me on my journey of both personal growth and how to use my own power for purpose. What do you want Seneca Women to accomplish in the next year? MV: I hope that in the next year, Seneca Women and Fast Forward will help inspire and empower countless women to find their purpose and make a difference, especially to advance women and girls. KA: My hope for Seneca Women is that it can be a catalyst for energy and change in this unique moment - that we can help women know their power, find their purpose and connect with others to turn that purpose into action, success and impact. Melanne and I believe that there have been a few moments in history where forces converge to create an opportunity where we can move fast and we can move forward. Our moment is now.